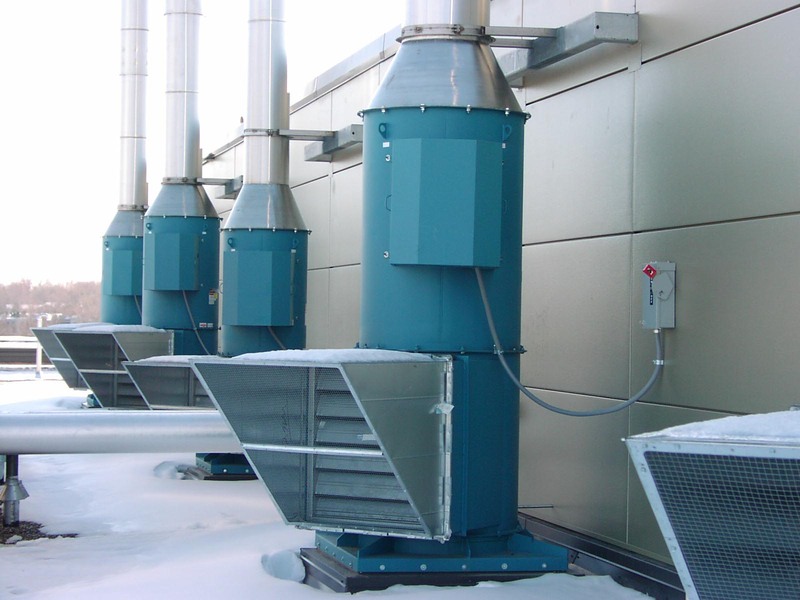 Laboratories and research facilities exhaust a wide variety of harmful fumes. 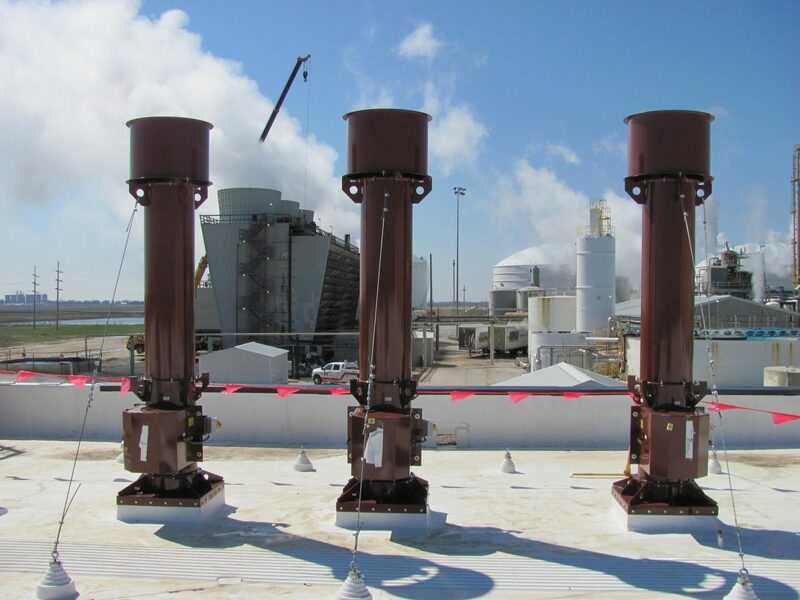 In concentrated forms, these fumes can be hazardous to human life. 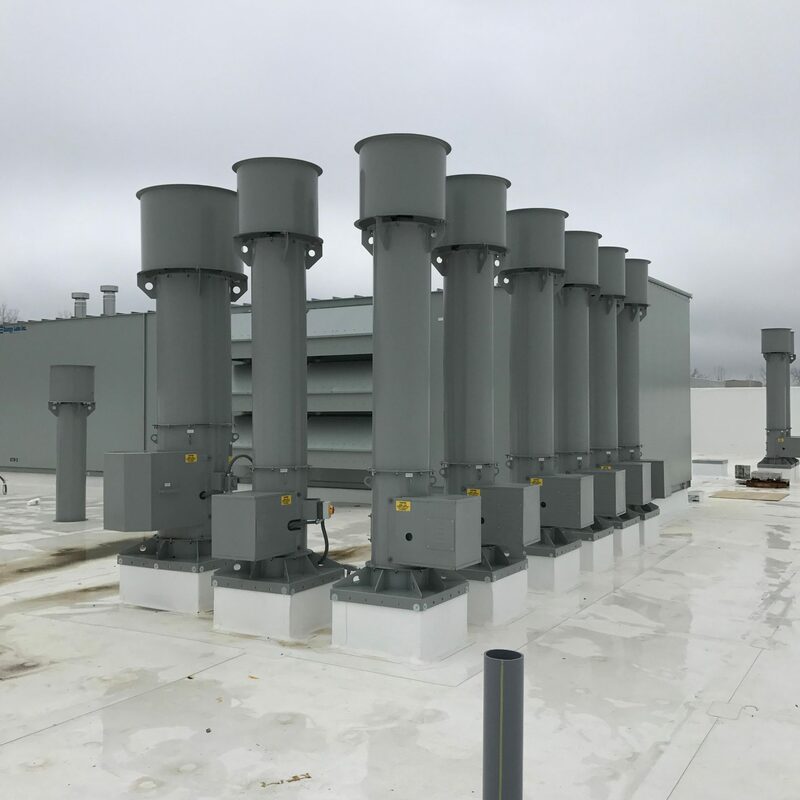 Contaminated air must be exhausted in a way that prevents it from returning back into the building, and surrounding locations where people may be present. 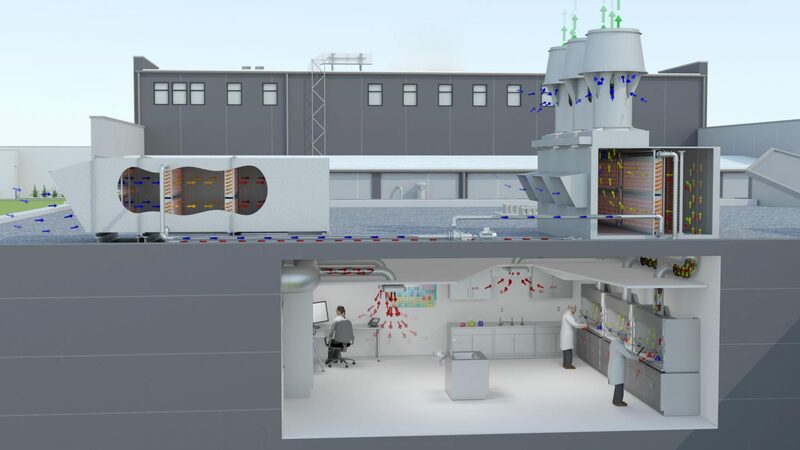 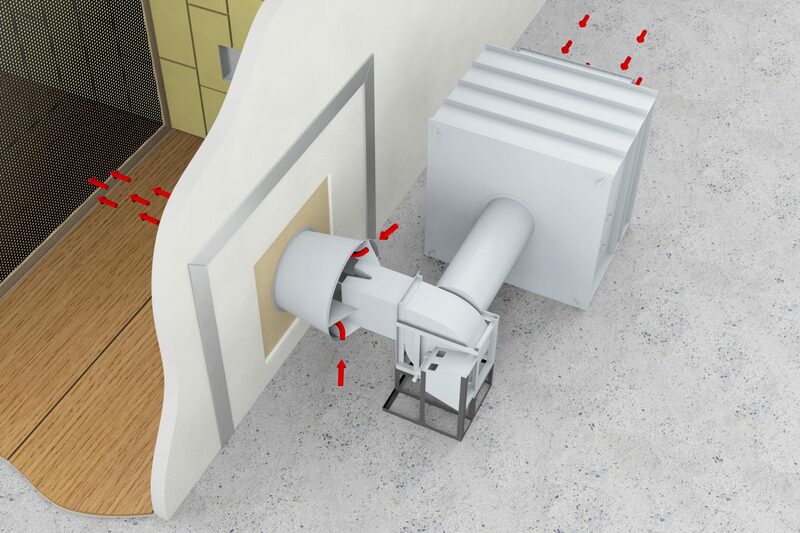 To effectively exhaust these fumes, which in many cases are corrosive and/or explosive in nature, fans are connected to one or more fume hoods to draw the contaminated air through. 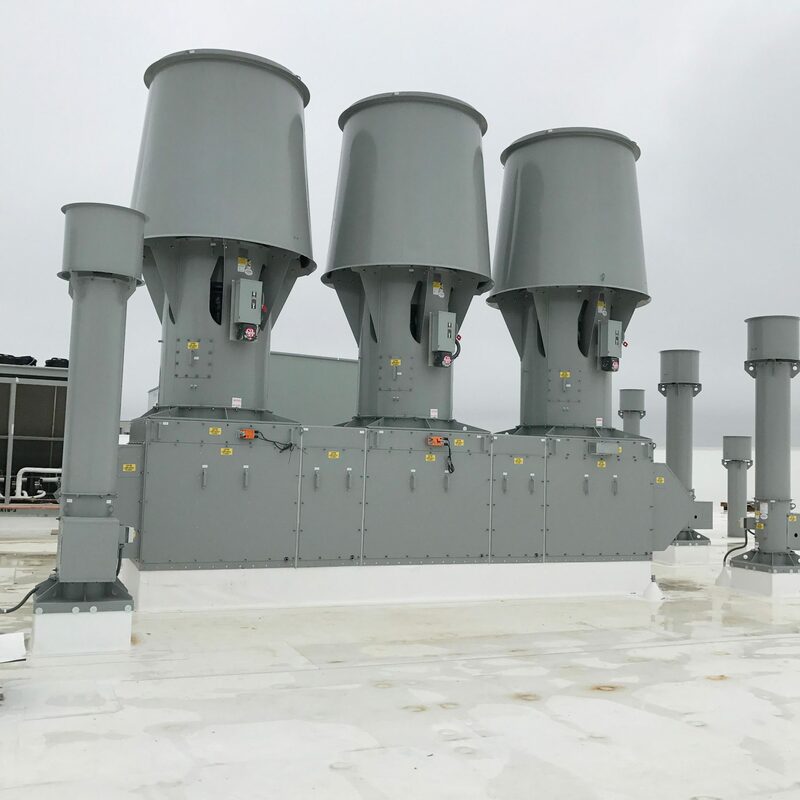 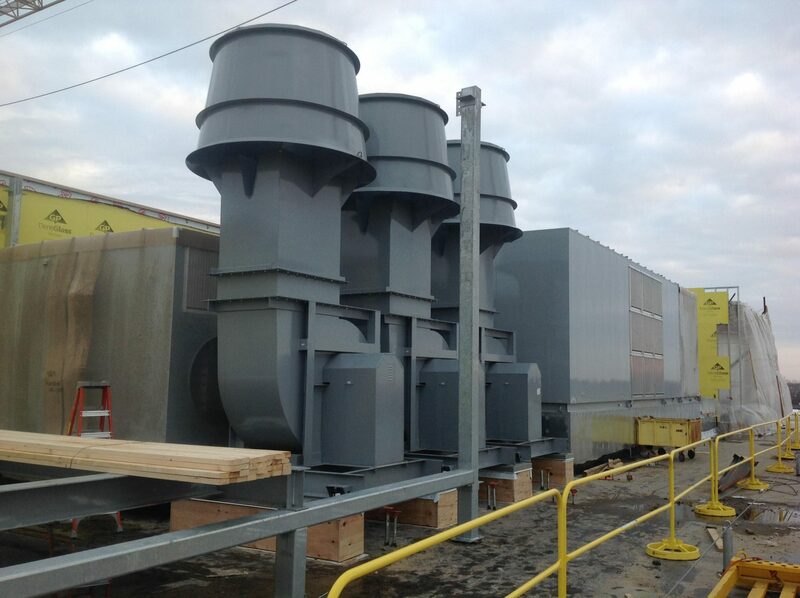 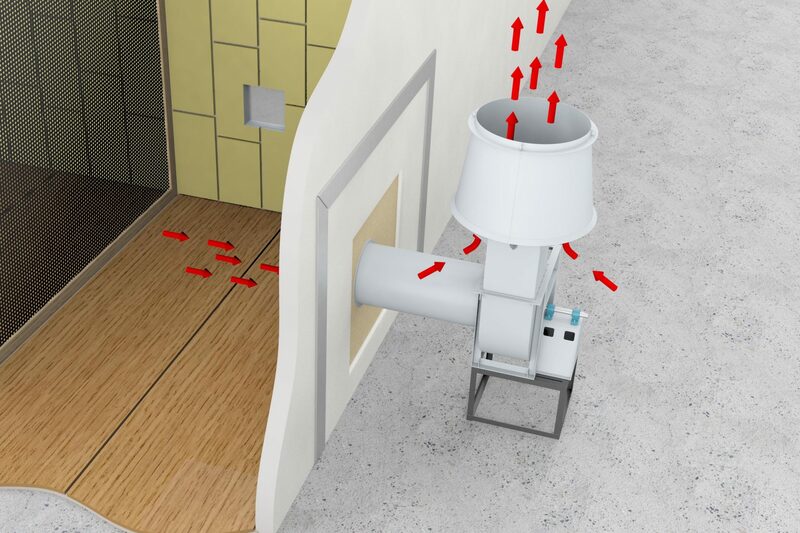 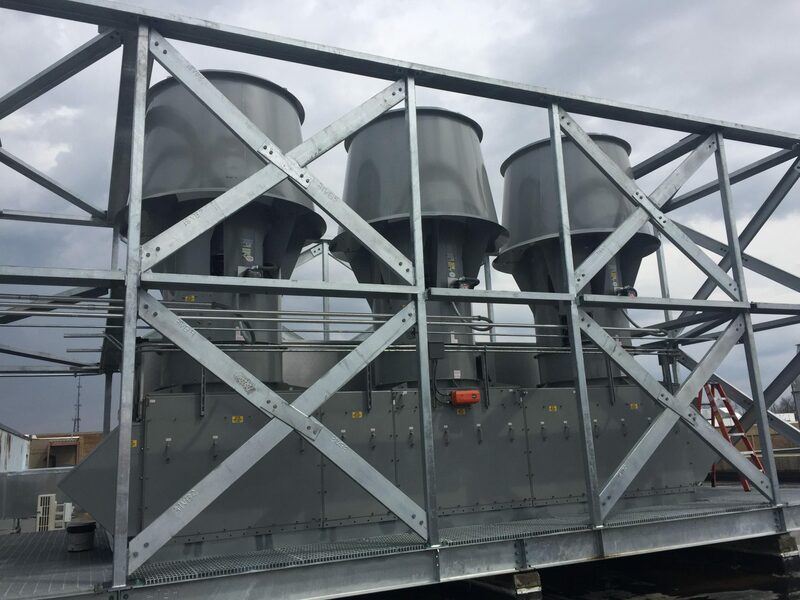 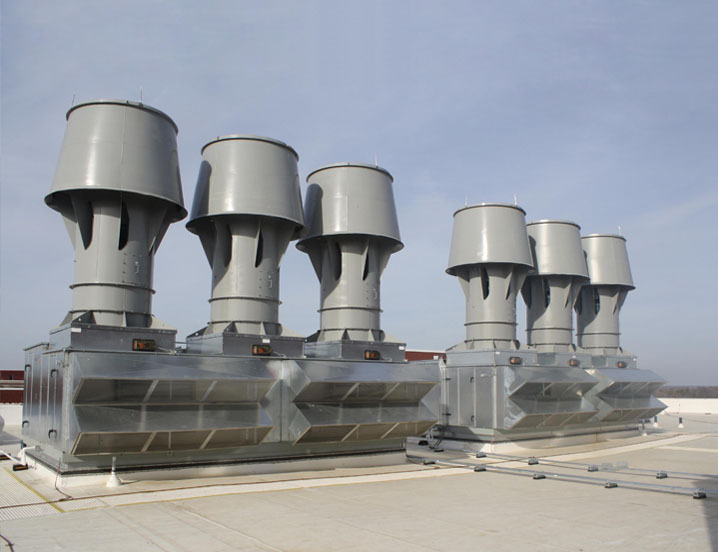 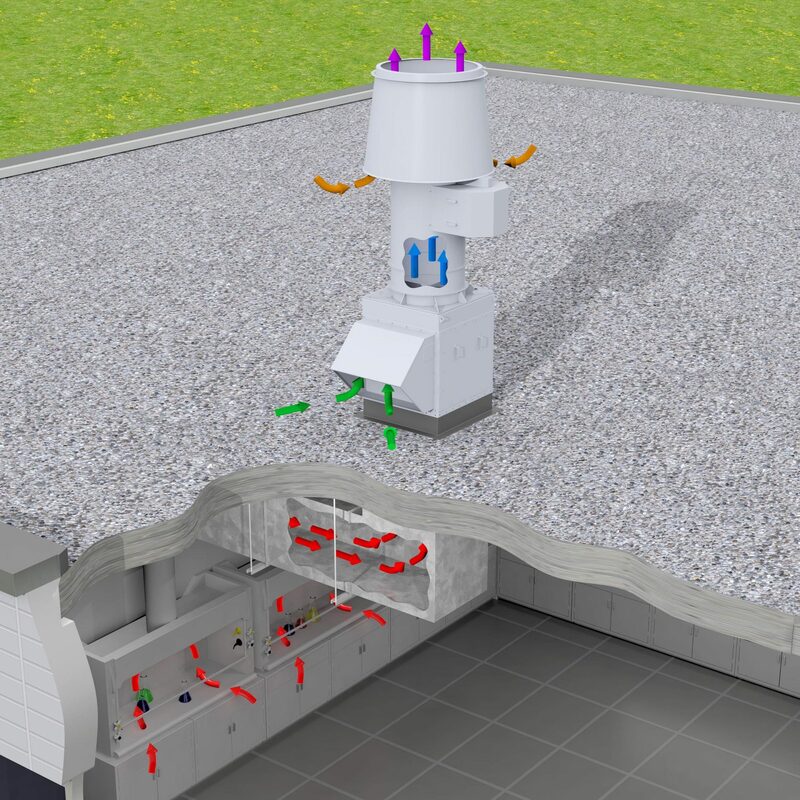 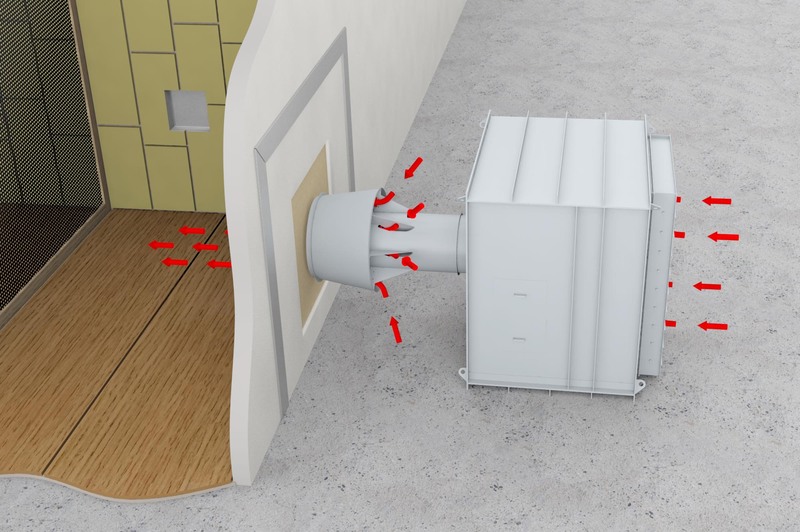 For proper ventilation, exhaust fans must be capable of moving air at high velocities to achieve a high plume height, as well as entraining clean ambient air to dilute the chemical concentration in the airstream. 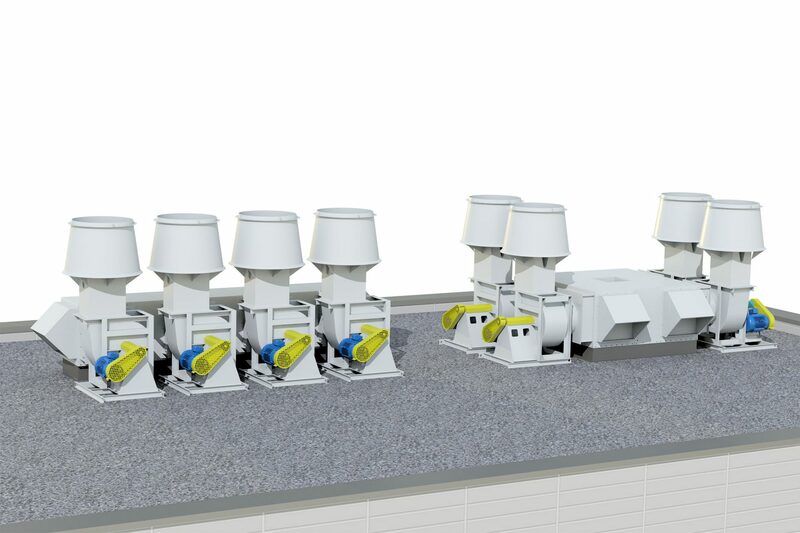 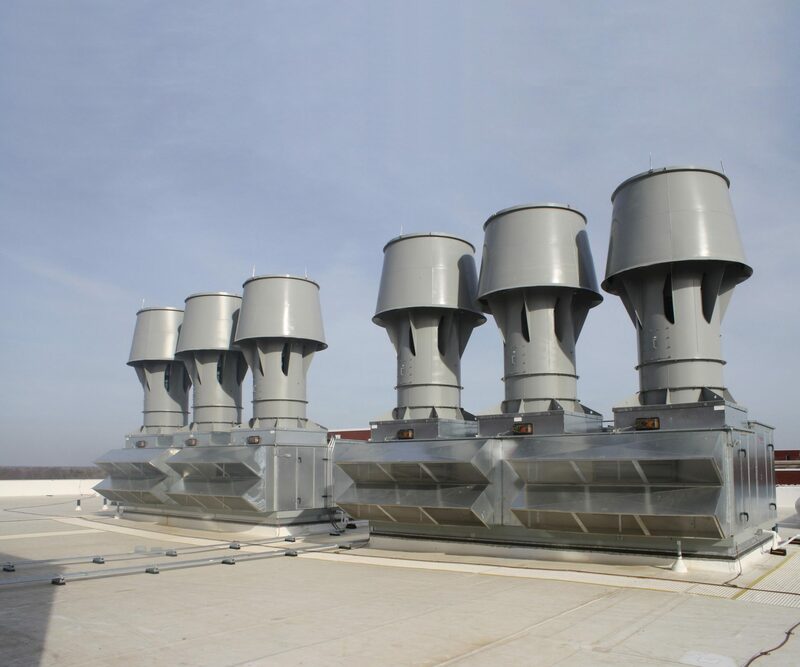 Twin City Fan & Blower offers a complete line of laboratory & fume exhaust fans for meeting the most stringent industry standards. 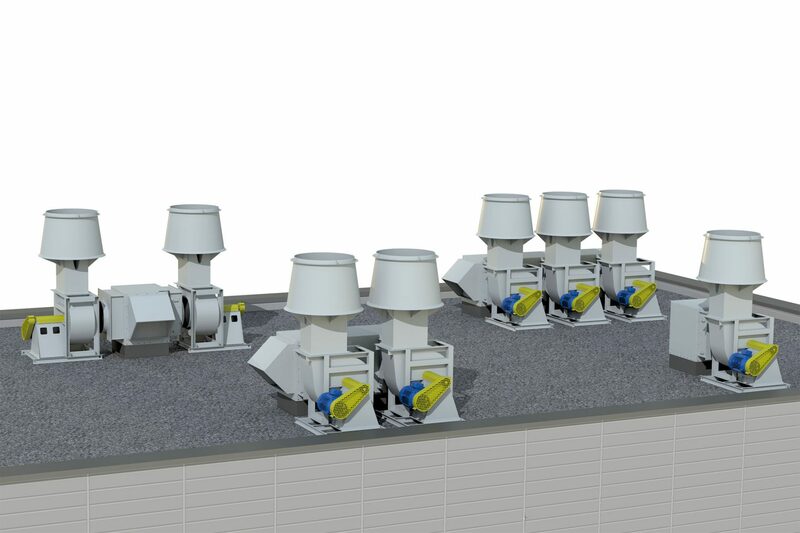 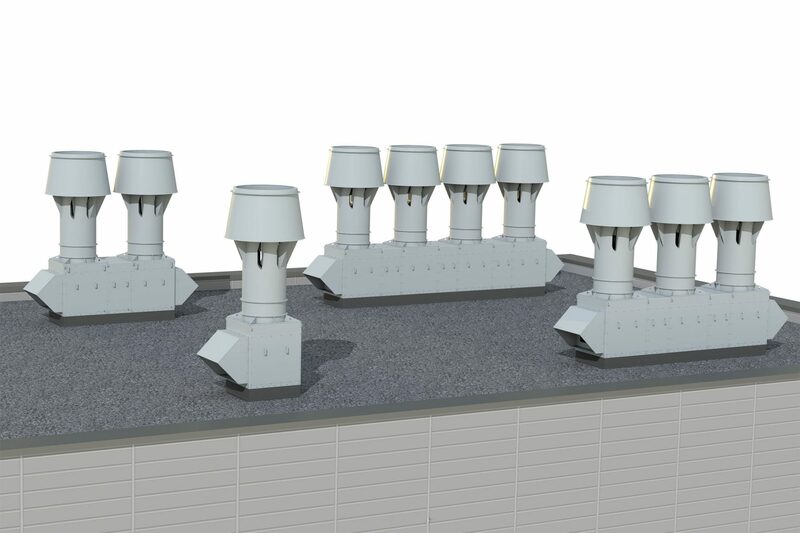 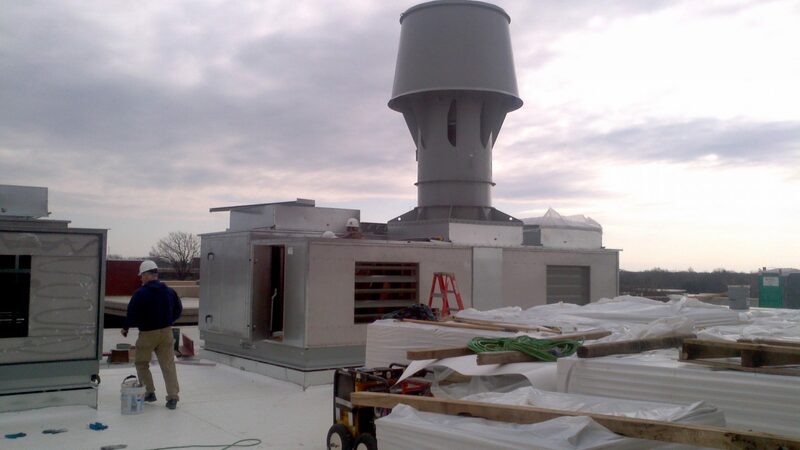 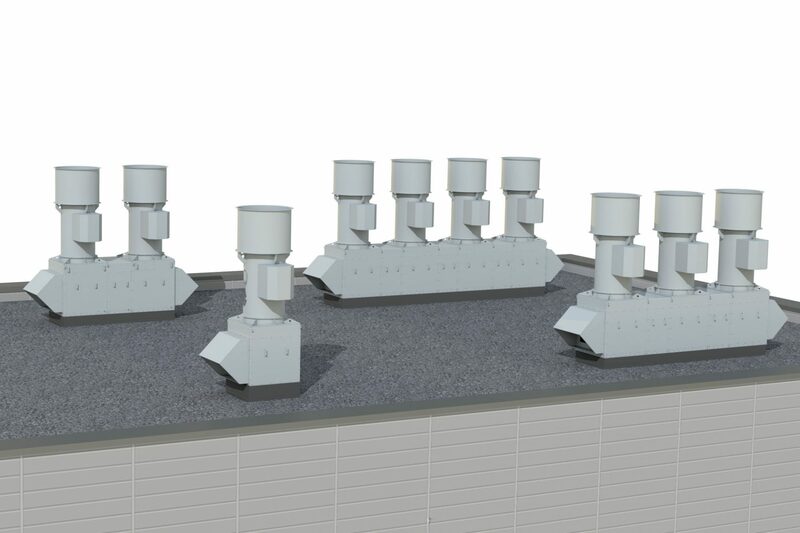 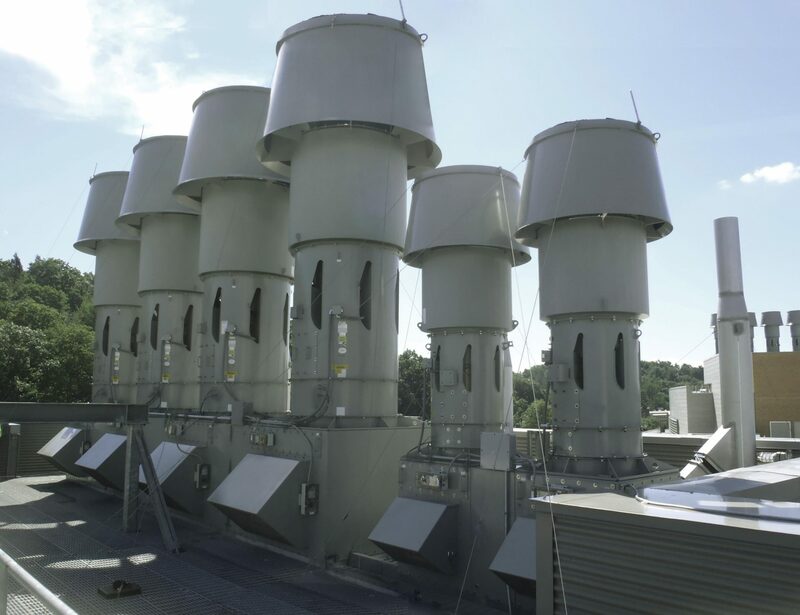 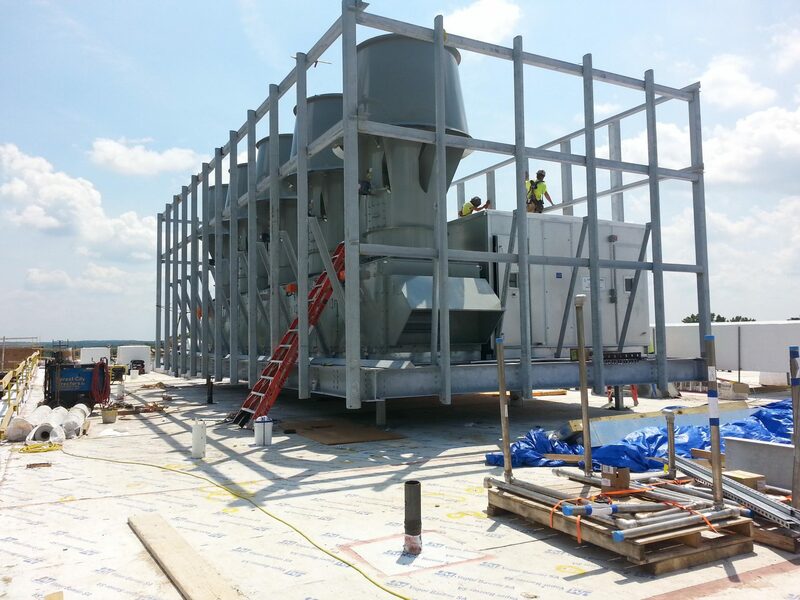 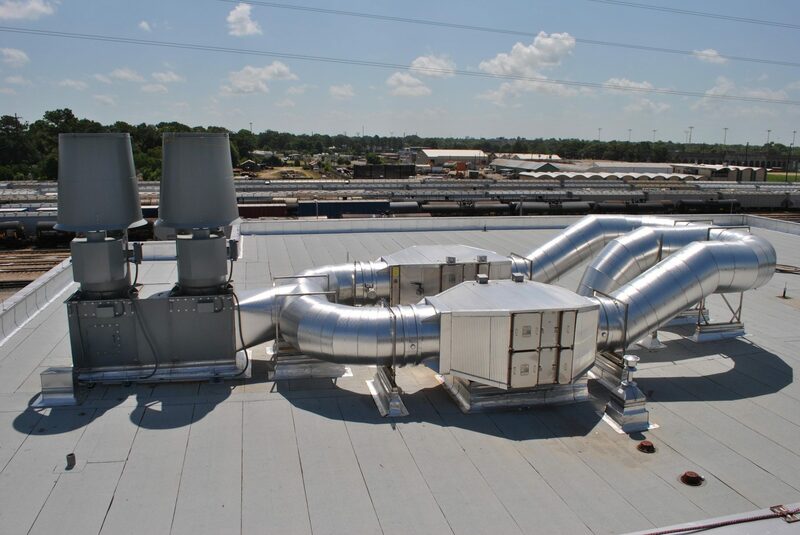 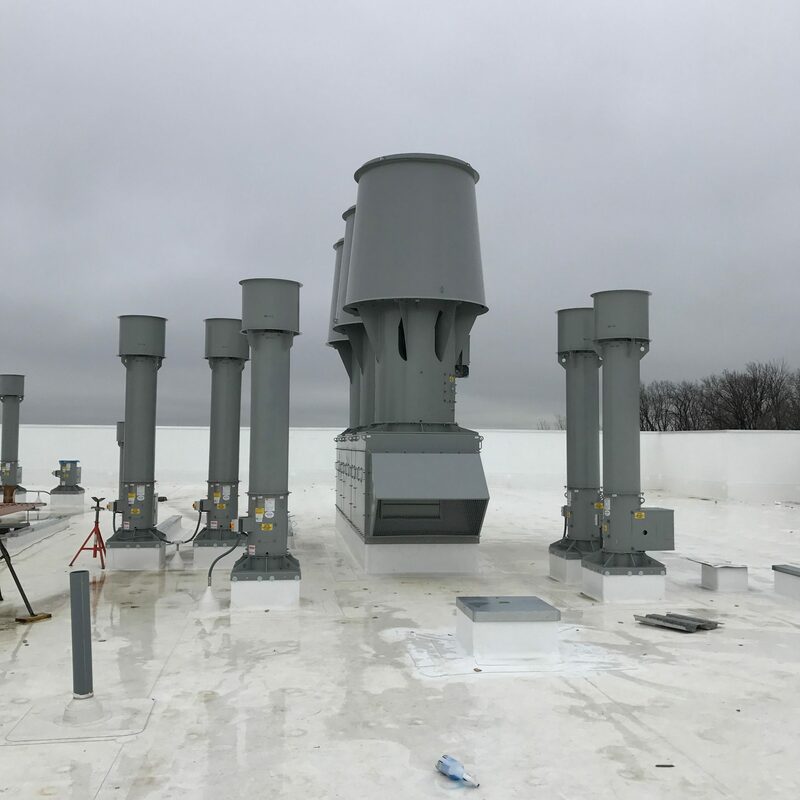 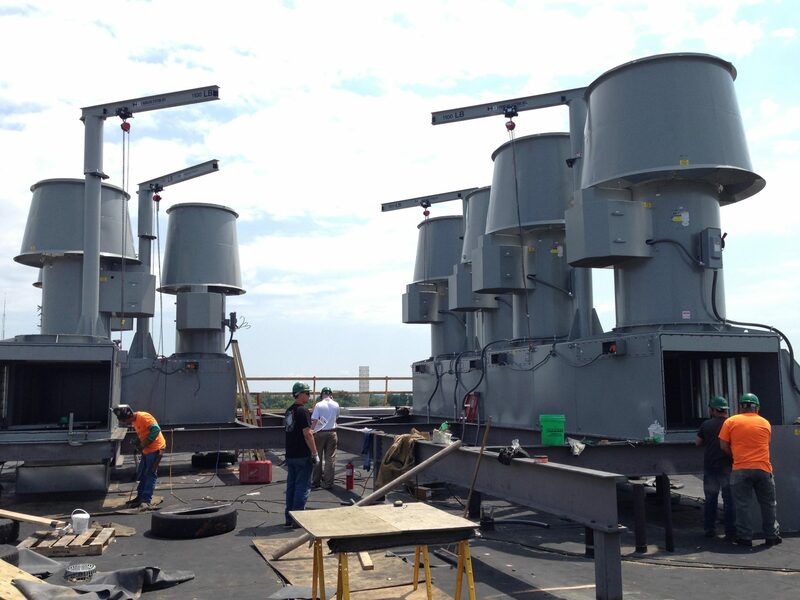 Our laboratory exhaust fans are often constructed of specialty materials to withstand the fumes associated with these environments.